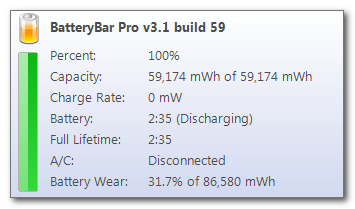 BatteryBar is a small but extremely accurate battery meter for Windows. BatteryBar is available in a free version and a Pro version that adds additional features. Copyright 2006-2008 Chris Thompson. Template designed by Color Light Studio.